The food service at Sauer Health Care offers three nutritionally balanced meals per day. A nutritional evening snack is also offered. Menus are written weekly, incorporating foods that the residents have requested. 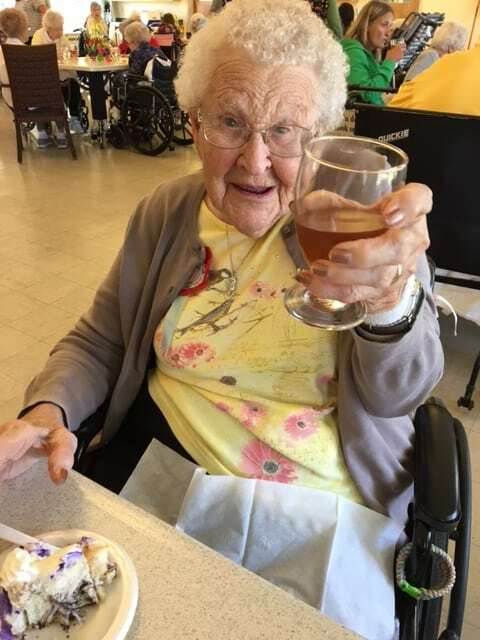 Sauer Health Care has an active Resident Council Food Committee where favorite food suggestions are noted and written into the menus. The meals are mostly American fare with the larger meals at lunchtime and a smaller meal at dinner. A standard menu is posted weekly. Substitutions are always available to accommodate specific resident preferences. 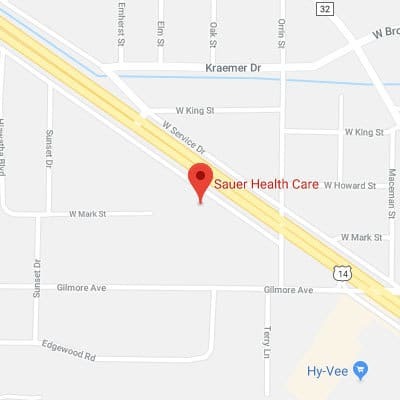 Residents at Sauer Health Care can look forward to homemade tasting, eye appealing meals served from the friendly dietary staff. We strive to make the dining experience home-like in a comfortable and enjoyable atmosphere. Holidays are a special time for Residents and their families and friends. We invite you to dine with your loved one for our wonderful holiday meals. Please be sure to make reservations at least 2 days prior to the holiday so that we may be able to adequately prepare. You may call the kitchen directly at 494-6285 to make your reservations. Please leave a message with your name and number of your party if the kitchen staff are unable to answer. Thanks for your cooperation. If you have further questions for Vickie Heim you can reach her at (507) 494-6284.